For the launch of a new product generation by luxury skin care brand Clarins, I was invited by their local Hong Kong PR agency BuzzPR to attend the launch event and to help promote the campaign. I stepped into the role as a social media influencer and attended the star-studded event that included Gaile Lai and Janet Ma. 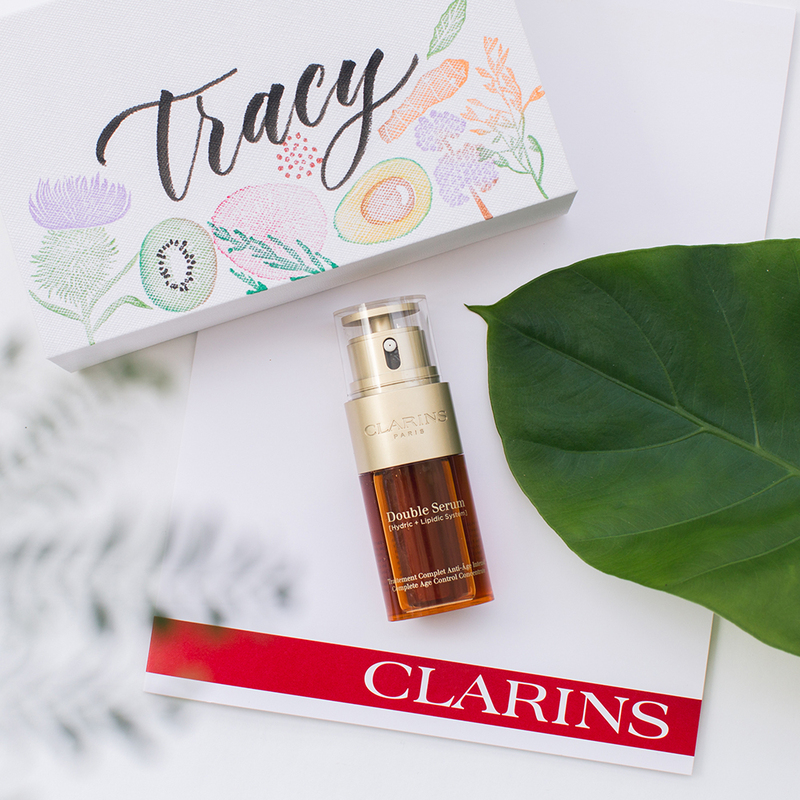 I took home the new version of their signature Double Serum, and styled it with the customized gift box decorated by calligrapher Joyce Chiang and self stamped with designs by Roong Suchinunkul. In the lifestyle product photograph, I wanted to show a sense of freshness to reflect the natural ingredients used in the serum and the rejuvenating effects by the product. With the branded hashtags I posted the photo on my own Instagram to spread the word to my audience. It was a pleasure collaborating with the team at BuzzPR on this event, especially working with a skin care brand that I have been using since my teen years!